Before two kids were in the house, there was a lot more time to plan out and prepare a weeknight dinner. So finding ways to cook something everyone likes (e.g. 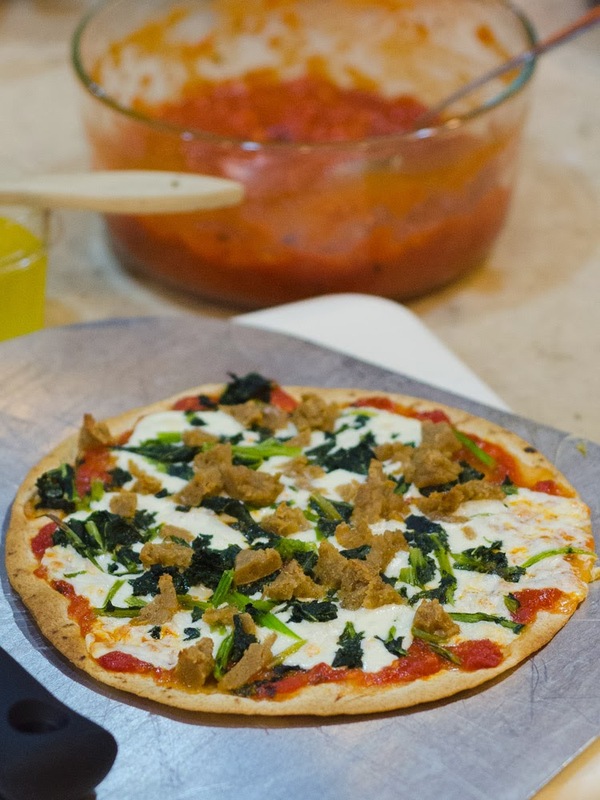 pizza), that’s healthy and kid friendly….and can be ready in under 30 minutes is a never-ending quest. Oh, one more thing. No compromising on quality. The idea of a tortilla pizza was nothing new. In fact, I vaguely remember during my senior year of college, there was a bar in downtown Peoria called Sully’s that had some sort of Thursday night special involving cheap beer and cheap pizza. The secret to their crispy, crackery crust that came out so quickly was large flour tortillas. That fleeting memory may have influenced my decision to never try making my own tortilla pizzas. 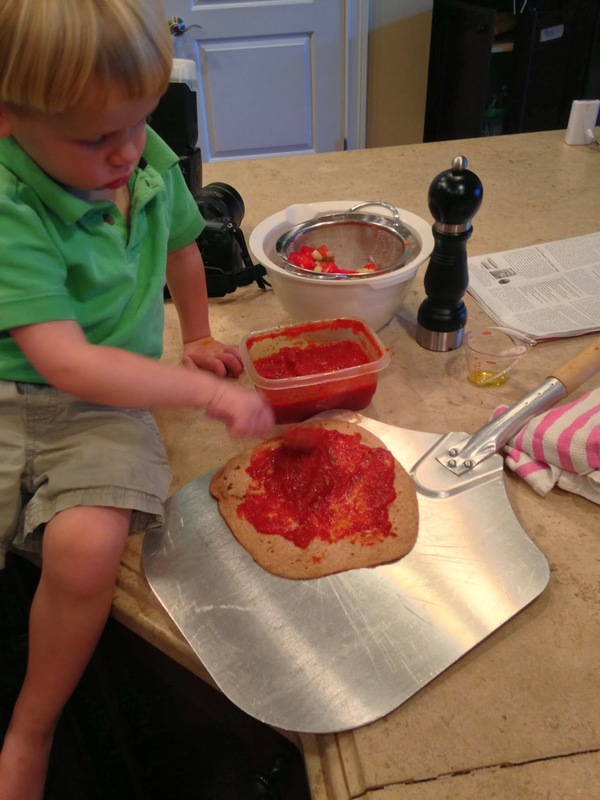 So now here I am one night with a 2-year old that wants pizzas, no time for making dough and no frozen crusts. Yet I had plenty of whole wheat tortillas. I also had just enough of my homemade pizza and pasta sauce on hand as well as some mozzarella. 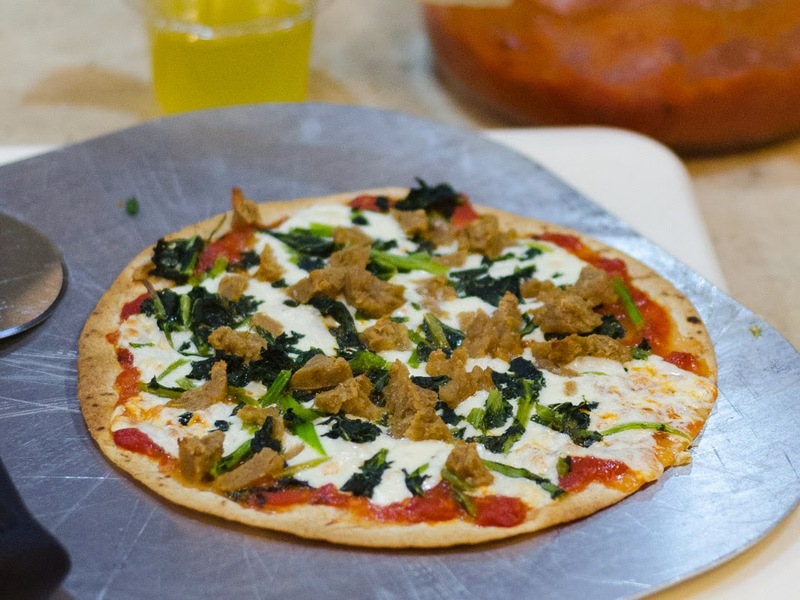 Use a pizza stone for a crispy crust. The toaster oven will disappoint you.